Facebook’s challenges have been widely reported. 2019, however, began with the announcement of Facebook’s blockbuster 2018 fourth quarter earnings. The company spent 2018 mired in one scandal after the other – its unintentional role in the 2016 elections, Cambridge Analytica, data sharing with smartphone manufacturers – leading to repeated apologies from founder Mark Zuckerberg. Yet, despite all of the negative press, Facebook’s user base continued to grow as 2018 drew to a close. And its financial results, reflective of its standing among advertisers, also proved impressive. Facebook revenue and earnings exceeded analyst expectations in the fourth quarter. What does Facebook’s improbable success say about the platform – and about the state of digital marketing in 2019? Scandals aside, new users continue to sign up for Facebook – albeit at slower rates than the company posted in its early years. The platform has seen a slow rate of growth, but growth nonetheless, in the overall U.S. user base. Both daily and monthly active users rose 9 percent year-over-year, in Q4. Much of this growth is driven by the “network effect” – i.e., if all of your friends are on Facebook, you want to be too. 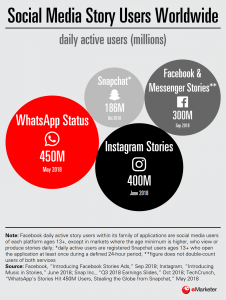 Facebook has seen a reduction in users under 25 over the past couple of years (roughly 5 million users under 25 left the platform in 2017-2018), but Instagram has proven to be a bright spot for Facebook. Since introducing Instagram Stories, a feature similar to Snapchat’s, Instagram’s user base has grown significantly. Notably, it has outpaced Snapchat’s user growth – a trend eMarketer expects will continue. Snapchat’s redesign in early 2018 likely fueled Instagram’s growth further. Many users saw this as an attempt to prioritize monetization over user experience despite the platform claiming otherwise. Instagram is Facebook’s biggest competitor right now as a social networking platform and since Facebook owns Instagram, this competitor is no competitor at all. At the same time, Facebook is doubling down on new products, like Marketplace, Watch and IGTV. These and other features are making Facebook (and its family of social networks) a more compelling place to spend time on. Because it’s doing a good job keeping users engaged, Facebook remains a desirable destination for ad dollars. The platform continues to deliver plenty of ROI for advertisers, privacy issues notwithstanding. 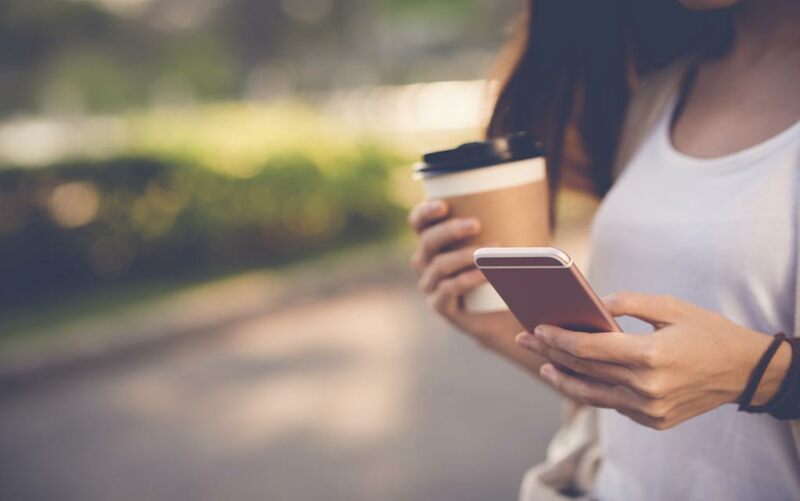 With Instagram and Whatsapp feeding heavily into the company’s user base, micro-targeting capabilities and advertising reach in general, Facebook remains one of the most desirable ROI destinations for advertisers. And the strength of Facebook’s ad platform, advanced targeting and retargeting capabilities, scalability and excellent match rate make it difficult for many advertisers to simply pull away. Advertisers also recognize that data privacy is not just a black and white issue, and recognize the strides that Facebook has made so far. Many see the value in continuing to engage with the platform and voicing their concerns, rather than blindly pulling spend, understanding that Facebook fundamentally wants to do the right thing and is actively working to address these issues. Add to this the fact that Facebook continues to find new opportunities and roll out new products (Marketplace, IGTV, Facebook Watch) to keep users on the platform, creating more advertising inventory. In the auction model, this reduces overall costs for advertisers, encouraging additional investment on the platform. That’s leading to all-time highs in revenue and profit for Facebook. Net income (i.e., profit) surged 61 percent year-over-year in Q4, to nearly $7 billion. There’s no doubt Facebook has stumbled. But its massive global reach and engagement potential are too big for advertisers to ignore. That’s especially true for e-commerce, direct-to-consumer and challenger brands, for which Facebook remains highly compelling as a performance marketing channel. Where Facebook shines, from a marketing standpoint, is in driving action – whether that is website visits, purchases, form fills or some other activity metric. If you are a consumer brand focused on growth, Facebook will probably be an essential part of your marketing plan in 2019. Do you agree with our observations? Does Facebook feature prominently in your enterprise digital marketing strategy in 2019? Tell us here.